Tom Hanks is a renowned American actor and filmmaker who has won two consecutive Academy Awards for Best Actor for his performances in Philadelphia (1993) and Forrest Gump (1994), respectively. He’s one of the highest paid and richest actors in Hollywood with his movies have grossed over $9 billion at the worldwide box-office. He first gained fame through his extraordinary performance in the comedy film, Splash. He further catapulted to stardom with his roles in movies such as Saving Private Ryan, Catch Me If You Can, Captain Phillips, Saving Mr. Banks, The Da Vinci Code, Sully, The Post, to name a few. Tom Hanks was born on July 9, 1956, in Concord, California, USA. His ancestry is Portuguese and American. 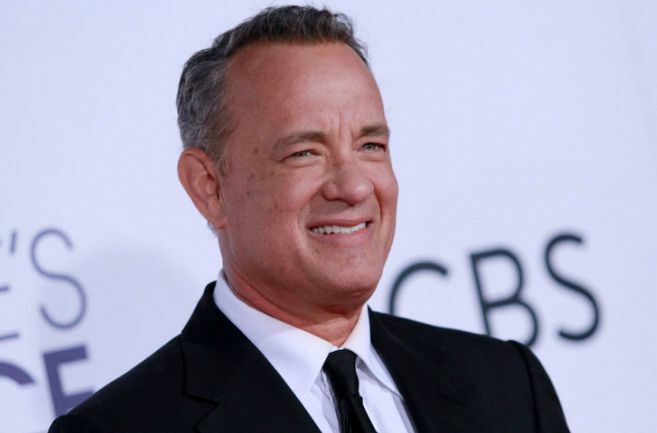 Tom Hanks attended Skyline High School in Oakland and later studied theater at Chabot College in Hayward, California. He moved to California State University, two years later, only to drop out. Siblings – Sandra Hanks (Older Sister; Writer), Larry Hanks (Older Brother; Professor) and Jim Hanks (Younger Brother; Actor and Filmmaker). Tom Hanks married his first wife actress Samantha Lewes on January 24, 1978, after three years of dating. The couple announced their separation in August 1985 and they divorced in March 1987. They have two children – Colin Lewes (born on November 24, 1977) and Elizabeth Ann (born on May 17, 1982). Hanks got married to his second wife actress Rita Wilson on April 30, 1988. Together, the couple has two children – Chester Marlon (born on August 4, 1990) and Truman Theodore (born on December 26, 1995). Tom Hanks made his acting debut as Elliot in the 1980 American slasher film, He Knows Your’re Alone, which was directed by Armand Mastroianni. His first acting role ever in a television show came in 1980 when he was cast as Rick Martin in an episode of the comedy television series, The Love Boat. His television roles include Saturday Night Live (1985 – 2015), Tales of the Crypt (1992), Band of Brothers (2001), The Pacific (2010) and The Story of Terror! (2013). He has done endorsement work for The National World War II Memorial and The Nature Conservancy. Tom Hanks has a net worth of $350 million dollars. Hanks received the Distinguished Public Service Award, the United States Navy’s highest civilian honor, on Veterans Day 1999 for his work in the epic Saving Private Ryan. In 2002, he was honored with the American Film Institute’s Life Achievement Award, presented by Steven Spielberg. He became the youngest recipient of this prestigious honor. His favorite baseball team is the Cleveland Indians. He was inducted into the United States Army Rangers Hall of Fame in June 2006. Tom is good friends with Julia Roberts, Steven Spielberg, Ron Howard, Denzel Washington, and Frances McDormand. Hanks made his Broadway debut in 2013 in Ephron’s play, Lucky Guy, which earned him a nomination for the Tony Award for Best Actor in a Play. In 2014, Hanks received a Kennedy Center Honor and, two years later, he received a Presidential Medal of Freedom from President Barack Obama. Hanks converted to the Greek Orthodox Church before marrying his second wife Rita Wilson. In 2016, Hanks was conferred with the French Legion of Honor, for his presentation of World War II and support of World War II veterans, along with Tom Brokaw, retired NBC anchor, and Nick Mueller, President of the WWII Museum, New Orleans. In 2017, he played the titular character in the YouTube animated web-series The Musical World of Mr. Zoink. Hanks is ranked as the fourth highest all-time box office star in North America, with a total gross of over $4.5 billion at the North American box office. He became the second only actor to win the Academy Award for Best Actor in consecutive years, after Spencer Tracy. He received the award for the movies Philadelphia (1993) and Forrest Gump (1994).